The modern university can trace its roots to Kant’s call for enlightened self-determination, with education aiming to produce an informed and responsible body of citizens. As the university evolved, specialized areas of investigation emerged, enabling ever more precise research and increasingly nuanced arguments. In recent decades, however, challenges to the hegemony of disciplines have arisen, partly in response to a perceived need for the university to focus greater energy on its public vocation—teaching and the dissemination of knowledge. 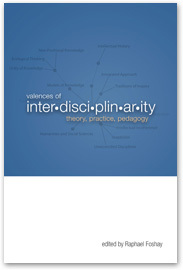 Download Introduction: Interdisciplinarity, for What?